Henry Ford once said, “Failure is simply the opportunity to begin again, this time more intelligently.” It’s a good reminder for us all; while no one enjoys experiencing failures, they are often just as effective teachers as our successes. Last year, I wrote a blog post about Successful Movie Marketing Strategies and Why They Worked. One of the examples I named was the meme generator for 2015’s hit biopic Straight Outta Compton. The generator helped hype up the movie and sparked a viral campaign through user-generated content that promoted hometown pride and several creative, humorous lines riffing off the movie’s title. This social media strategy was a huge success for Straight Outta Compton, but an epic #fail for Paramount Pictures’ Ghost in the Shell. The latter tried to promote its own viral meme generator at iammajor.me, a site where fans could identify with Major, the movie’s protagonist, by filling in their own answer to the prompt “What Makes You Unique?” and then sharing on social media with the hashtag #IAmMajor. Although well intended, the campaign fell flat with fans of the original manga series from which the movie was adapted. Instead, the site became a launch pad for frustrated fans to create content expressing their disappointment in the film’s casting of Scarlett Johansson in the role of an Asian character. Following the blowout, the iammajor.me website now leads to an application error message. Meanwhile, straightouttasomewhere.com, is still up and running two years later. Bottom line: It’s OK to find inspiration from your fellow brands and adapt it for your own content. But be warned: If the content is not aligned with your target audience’s wants or expectations, it may not go over well. 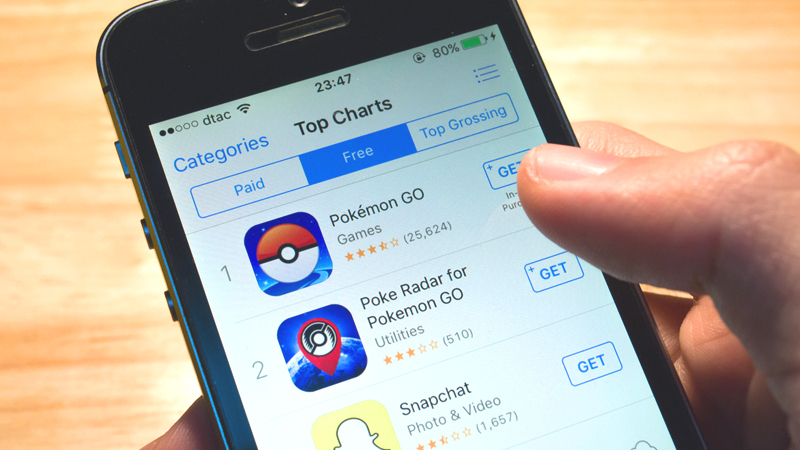 Study your consumer insights and analytics as much as possible, and keep in mind that what works for one brand’s followers won’t necessarily work for yours. 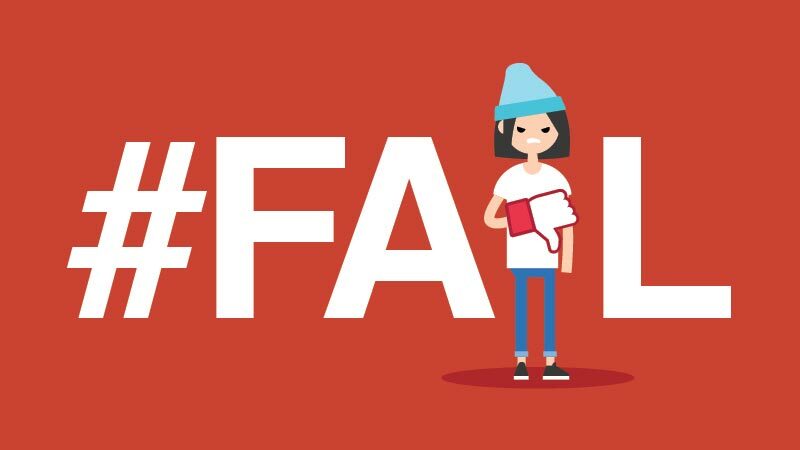 Last year, several brands found out the hard way that paying tribute to a beloved celebrity’s passing, while well intentioned, can also turn into a #fail. 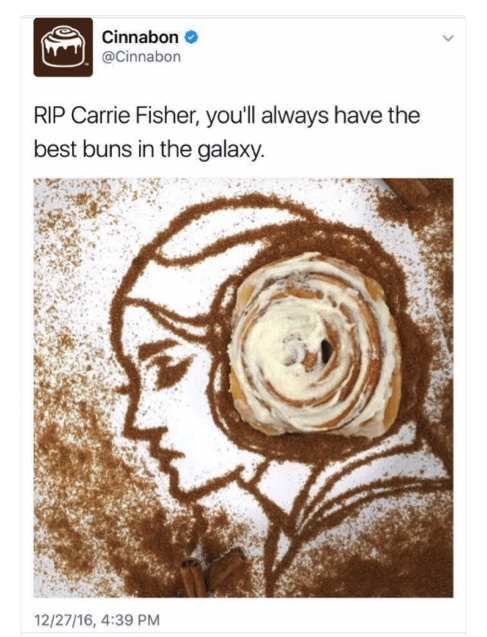 Exhibit A: Cinnabon’s Twitter post in honor of the late actress Carrie Fisher. Earlier that year on May 4th, commonly known as “Star Wars Day,” this tweeted image from Cinnabon had a different caption that garnered a lot of positive attention for its playfulness and humor. Repurposing it for Fisher’s death, however, left a sour taste in the mouths of many fans, who felt it was too promotional, too exploitative and, in light of the tragedy, too tongue-in-cheek. 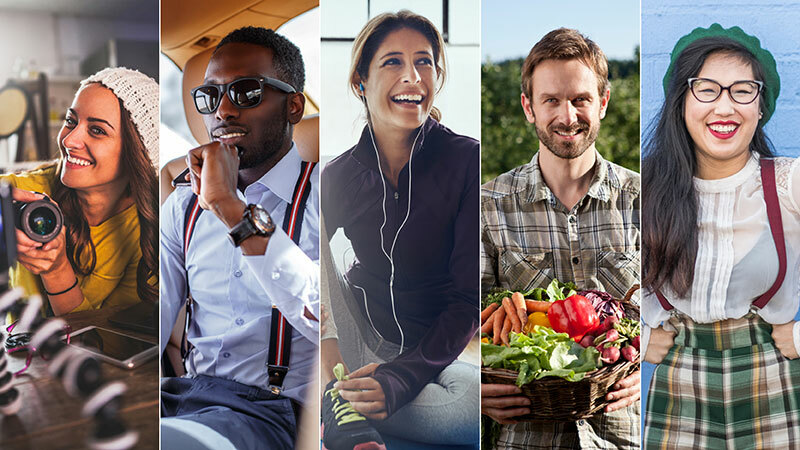 Bottom line: Striking the right balance of genuine respect and brand voice can be a challenge, but the mark of a great content marketer is knowing when and how much brand presence to insert into ad content. In the case of paying a tribute, it’s better to be conservative with your brand’s presence. Audiences should feel that the content is heartfelt, not a ploy to grab attention and sell products. Adidas and Cosmopolitan are among the most recent members of the club of brands suffering the repercussions of poorly worded content. A day after this year’s Boston Marathon, Adidas sent an email to its subscribers with the unfortunate title: “Congrats! You survived the Boston Marathon!” Inevitably for a lot of readers, the word “survived” evoked a recollection of the deadly Boston bombing four years ago, and the brand took a lot of heat for it on social media. 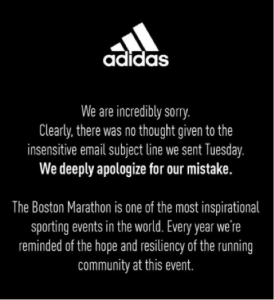 At least Adidas had the good sense to apologize for their content blunder almost immediately. Cosmopolitan, on the other hand, has made no apologies for their clickbait headline that positioned a woman’s bout with cancer as the way she “Lost 44 Pounds with NO Exercise.” The insensitivity drew a lot of backlash on social media, particularly calling out the brand for not acknowledging their mistake. Bottom line: Proofread, proofread, proofread. Read your copy aloud, read it on screen, then print it out and read it again on paper. 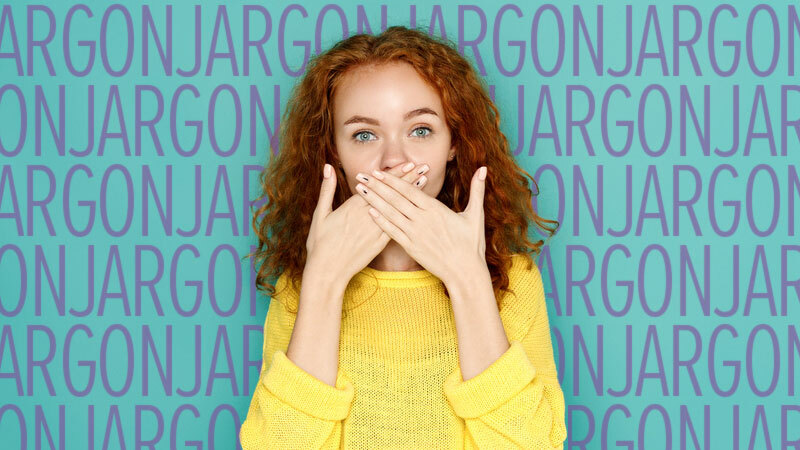 Examine your language: Are there are double meanings or alternate interpretations that could be extrapolated? If so, it may be time for another revision. Despite having the best intentions, brands sometimes get it wrong. That doesn’t have to spell disaster for customer loyalty though. The best thing to do if you mess up? ’Fess up—and the sooner, the better. According to research, about half of consumers end up liking a brand more after a bad experience, but only if that experience is handled quickly and in the right way. Admitting to mistakes and apologizing for them can be a difficult thing to do, but brands that don’t take accountability quickly may pay for it later. Always try to learn from the experience. Have post-mortems to discuss what went wrong, and brainstorm solutions to keep the problem from occurring again. Most of all, remember the nugget of wisdom from Henry Ford: Failure doesn’t mean the end of the world. It’s simply the opportunity to begin again, more intelligently.